And we’re back with some new top tips! When on a (day)trip we regularly do an afternoon tea somewhere posh. I have tried several places already, so today I will give you my top 5 of afternoon tea hot spots! We usually have our afternoon tea in the midst of a busy daytrip. 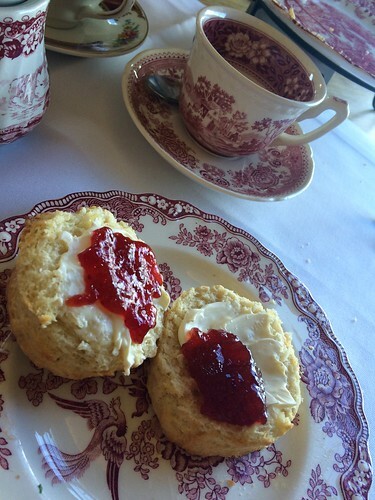 The tearooms or hotels where we have our afternoon tea are like a haven of peace and rest, which is a welcome change. So we definitely take our time to enjoy the tea, food, surroundings, ambiance and company! In my opninion you start the perfect afternoon tea with a glass of bubbly and then of course followed by the obligatory sandwiches, scones with clotted cream and jam, some fine patisserie to finish… and all this accompanied by a nice hot pot of tea. I’ve already had afternoon tea on many different locations. The very first afternoon tea I had was way back in 1995 in the Ritz Hotel in London. It still is thé place to be for a traditional afternoon tea. In 2011 my husband and I visited London with my daughter and her friend. 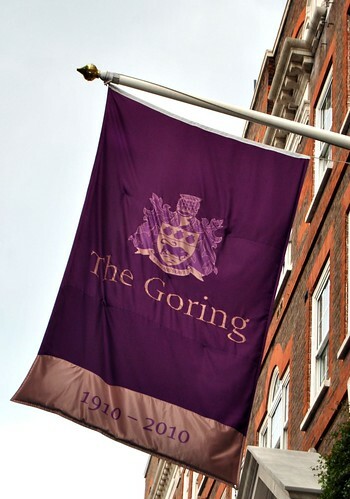 Whilst my daughter and her friend went shopping in Oxford Street, my husband and I sought up the luxury of the 5 star hotel ‘The Goring’. We had made a reservation and as we entered, we were led to a table near the conservatory, so we had a nice view towards the garden. Soft music was being played in the background, the crockery was very elegant end we simply enjoyed being pampered! We loved every little bit that was on the tiered tray and we soaked up the atmosphere. The Goring is a very posh place. We may not be able to afford to stay in this hotel, but having afternoon tea here, gives us a glimpse of the glitter and glamour! Last year I went on a daytrip to Paris with my 2 daughters. 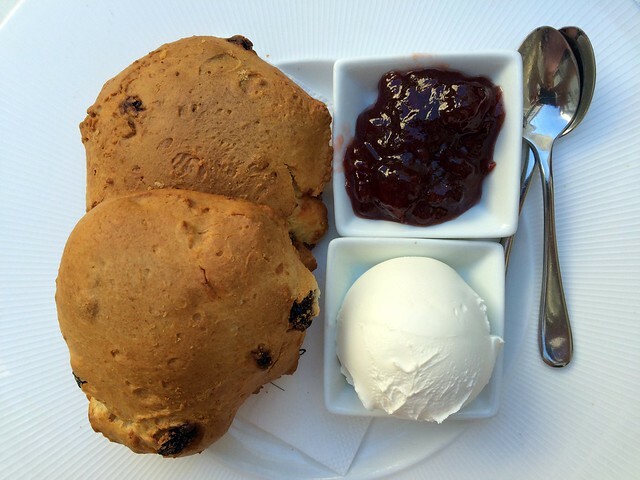 As we all have a sweet tooth, we decided on having an afternoon tea. I had done some research and made a reservation at Hotel Daniel, near the Champs Elysées. The hotel lounge, in which we enjoyed our afternoon tea, was beautifully decorated in an oriental theme. We were sitting in the most comfortable sofas and we thoroughly enjoyed the relaxed atmosphere in the lounge. The staff was ever so friendly and gave a lot of information on the wide variety of teas. On the tray were several finger sandwiches and also scones with cream and a selection of jam. 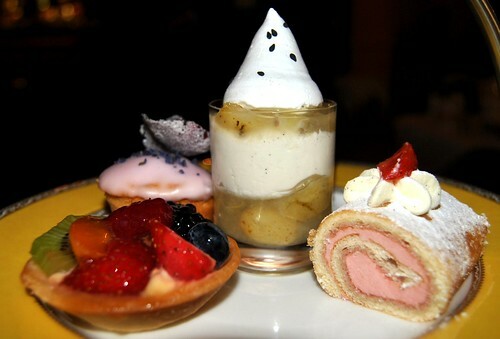 To end our afternoon tea, the waiter brought a tray of the most delicious patisserie of which we could make our choice. I did a tips ‘n trips post about our daytrip to Paris some time ago. You can read it here. Now, the lecture as well as the afternoon tea, took place in the Dordts Patriciërshuis. This is a 17th century house, situated in the harbour area of Dordrecht. It’s an intimate house museum which gives you an impression of a Dordrecht Patrician household at the end of the 18th century. In one of the rooms, the Maaskamer, afternoon tea was served. This room is beautifully decorated with antiques and paintings. We had a table overlooking the river Maas. The sandwiches as well as the scones were freshly baked and were accompanied by three different teas. The decoration, the crockery, the fine sandwiches, delicious scones and beautiful patisserie… it was all picture perfect! We were really astonished by the beauty of the venue and I can but recommend a visit if you’re in the neighbourhood! You can read the travelpost about our trip to Dordrecht here. This afternoon tea I enjoyed with my eldest daughter. We were on holiday in the amazing Peak District in England. My husband, youngest daugter and son went to a football game whilst Charlotte and I visited the grand estate of Chatsworth House. 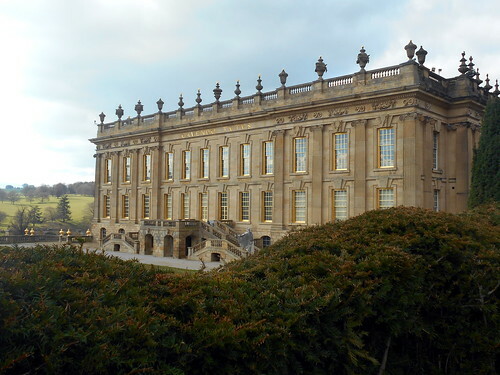 Chatsworth is home to the Duke and Duchess of Devonshire, and has been passed down through 16 generations of the Cavendish family. We first visited the big house and before visiting the gardens, we indulged ourselves with afternoon tea at the Cavendish Restaurant. The restaurant is situated in the 18th century stables and even though it’s quite posh, we felt at ease. 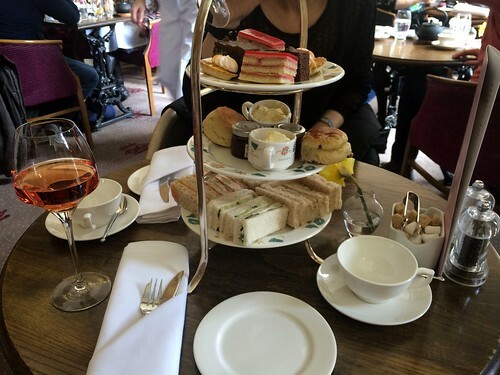 We first enjoyed our glass of rosé followed by delicious sandwiches, scones and patisserie… oh… and tea of course! Here you can read a travelpost about our visit to Chatsworth House. And last but not least I cannot forget my own country… so when in Antwerp, do take your time to pay a visit to Café Impérial… you won’t regret it! Café Impérial is a very stylish brasserie where you can enjoy a tasty breakfast, a delicious lunch, a luxurious diner but you can also visit it for afternoon tea. The interior is very grand with beautiful furniture, murals, chandeliers and fireplaces. 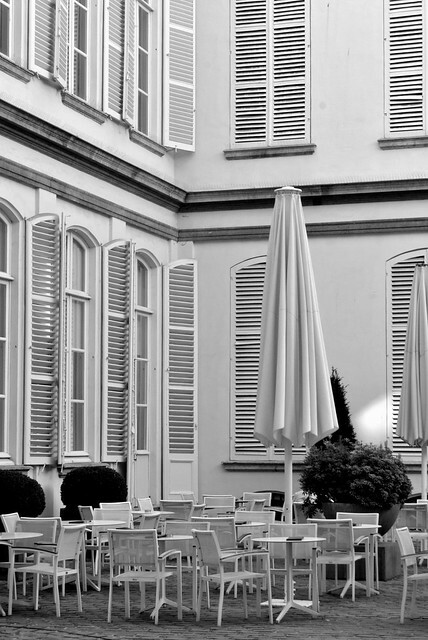 And also the outdoor terrace is a haven of tranquility amidst the hustle and bustle of the city. It’s been a while since I’ve had afternoon tea at Café Impérial, but it was heavenly… You are served 3 finger sandwiches, 2 scones with clotted cream and jam and a selection of 3 sweets. And all is served on beautiful crockery of course, all in style of the grand interior you’re sitting in! You can read more about the building Café Impérial is situated in, in one of my earlier posts about Antwerp (here). And that, ladies and gentlemen, was my top 5 of afternoon tea venues. One more afternoon tea hotspot is definitely still on my list… the Ritz in Paris, which is now recently re-opened. I hope to visit it on one of my next trips to Paris. If I do so, you will certainly read about it here on ‘the good, the fab and the lovely’! 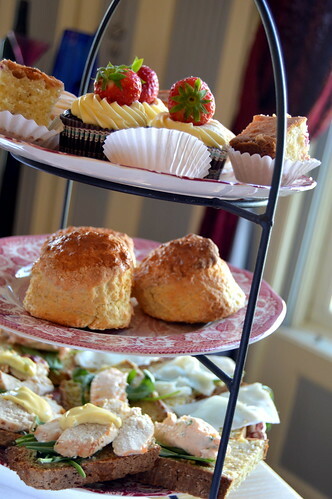 Do you have any afternoon tea hotspots to share? Please do so in the comments! 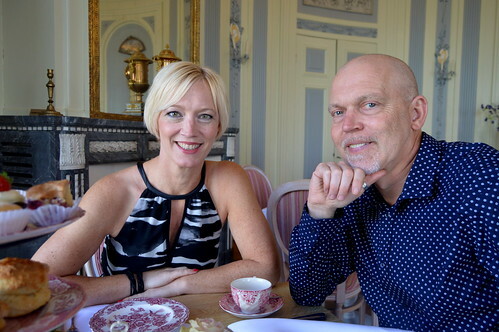 Recently you could also read about my afternoon tea at Hotel New York in Rotterdam. 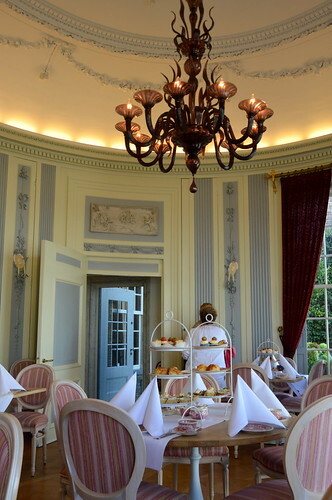 This entry was posted in Travel, Travel top tips and tagged afternoon tea, antwerp, café impérial, cavendish restaurant, chatsworth house, dordrecht, goring hotel, high tea, hightealicious, hotel daniel, london, Paris, teatime. The book club: kick off! They don’t scrimp at the Chatsworth’s Cavendish! WOW! Only one hotel in Denver and I haven’t been….yet. It’s not a thing here. We are missing out!!! Right??? I lived in downtown Denver thirty years ago, but didn’t understand what afternoon tea was!!! I was in Europe for a month last summer. Believe me, I’m sold!